Istation is partnering with Boulder Learning to develop Istation’s Oral Reading Fluency and Listening Comprehension Program by incorporating speech-recognition technology. 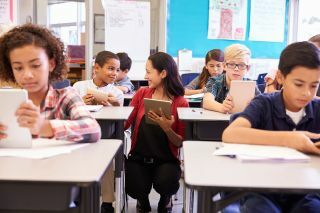 Istation will adapt Boulder Learning’s existing speech-recognition and assessment product, FLORA (Fluent Oral Reading Assessment), for large-scale deployment in classrooms. Istation will launch a pilot program with manual scoring during the 2018-2019 school year that will record students’ reading and allow teachers to manually score and log the results. Boulder Learning will analyze the pilot data to program the assessment and automate scoring. Once fully developed, the product will give teachers the option to manually score oral fluency or use the scores provided by the program. The new oral fluency assessment will become a computer-delivered subtest of the ISIP™ (Istation’s Indicators of Progress) assessment program for students in kindergarten through third grade.